An extremely worthwhile experience. 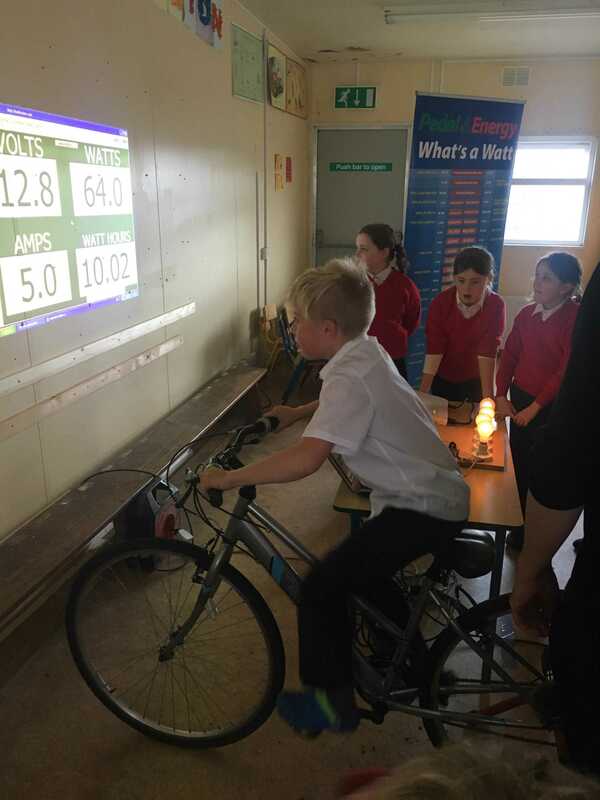 The children thoroughly enjoyed 'creating' energy and learning how to conserve energy in a most meaningful and unforgettable way. I would highly recommend this visit to other schools. 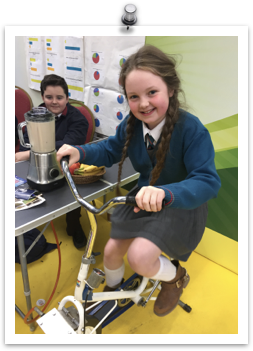 The children learned about chemical and mechanical energy while powering the smoothie maker. 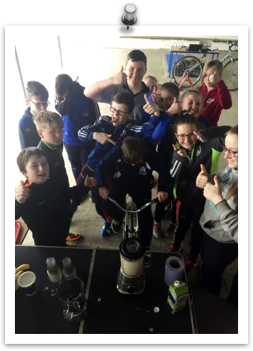 Then got to taste the smoothies that they made!!! Overall the day was very educational and I would recommend the workshop to any school. Gavin was able to deliver workshops to connect with every class in an age appropriate fashion. 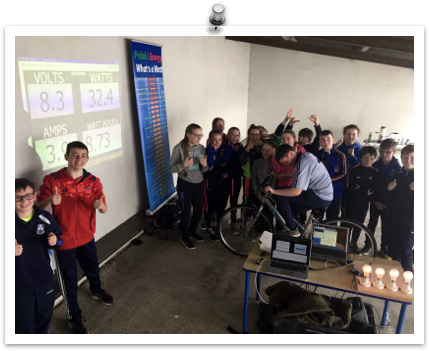 The cross-curricular links developed within the workshop connect SESE, PE, SPHE, Maths and Oral Language and granted countless learning opportunities. He provided all classes with a great understanding of electricity, the amount we use and how we take it so much for granted. 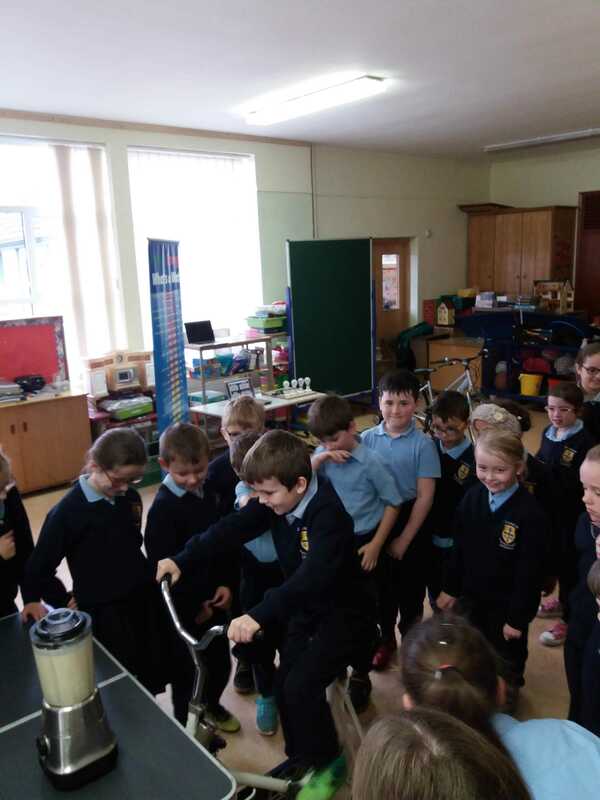 This workshop was most enjoyable for the children, as even those as young as junior infants were able to learn from the day. 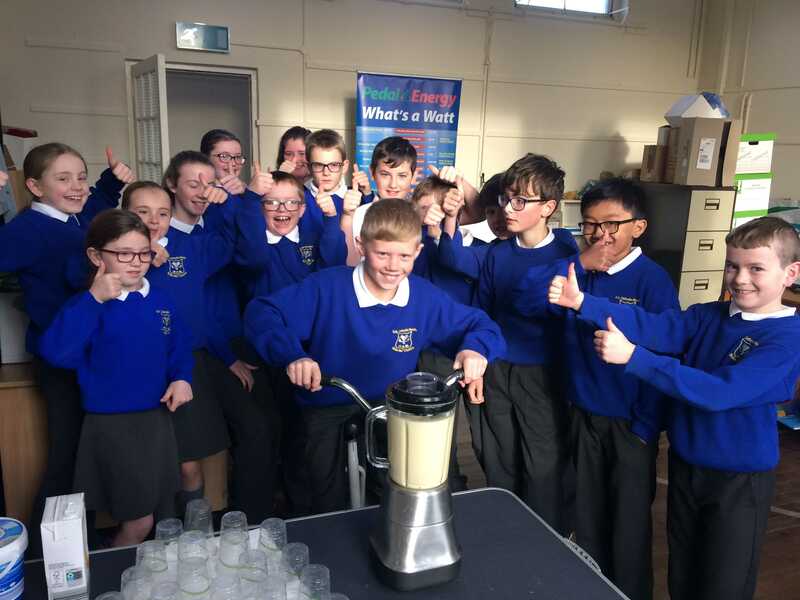 The children were so excited to be able to witness at first hand how watts are generated, and really enjoyed using their own energy to generate the smoothie maker! We will remember and refer to the Pedal Energy Day of Action for many months to come! The workshop was very educational, great fun and hands-on. I would highly recommend this workshop." 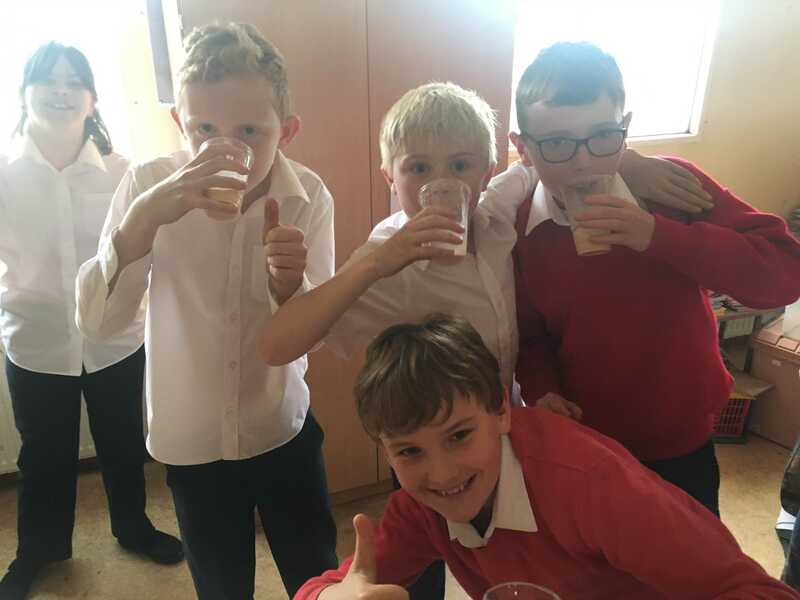 The workshop created a greater interest in science and provided much motivation for the pupils. 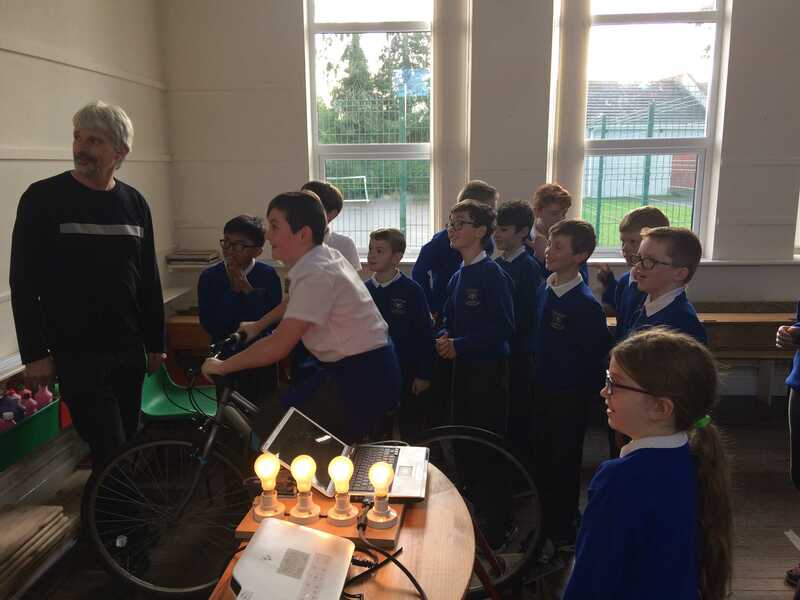 The children learned about chemical, mechanical and electrical energy in a practical and fun way. 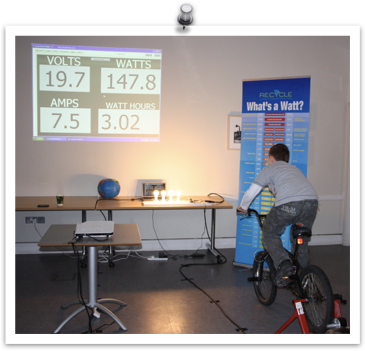 Gavin also highlighted the electrical energy needed to power certain everyday appliances and the need to conserve energy. I would recommend this workshop to any school. 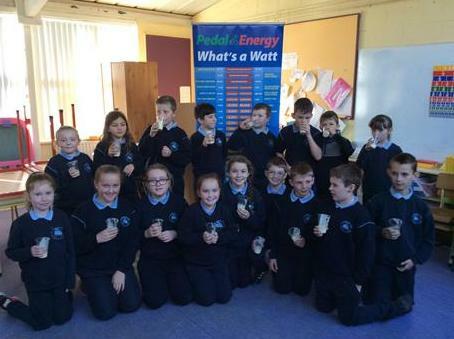 The children learned about the unit of energy called a Watt and how it was named after the scientist who discovered it. The children in my class were all intrigued by this and many of them now hope to be scientists themselves.